The WS4D Partners MATERNA, the University of Dortmund and the University of Rostock promoted their ITEA – Project BaaS together with all other project partners at the ITEA Co-Summit in Berlin. 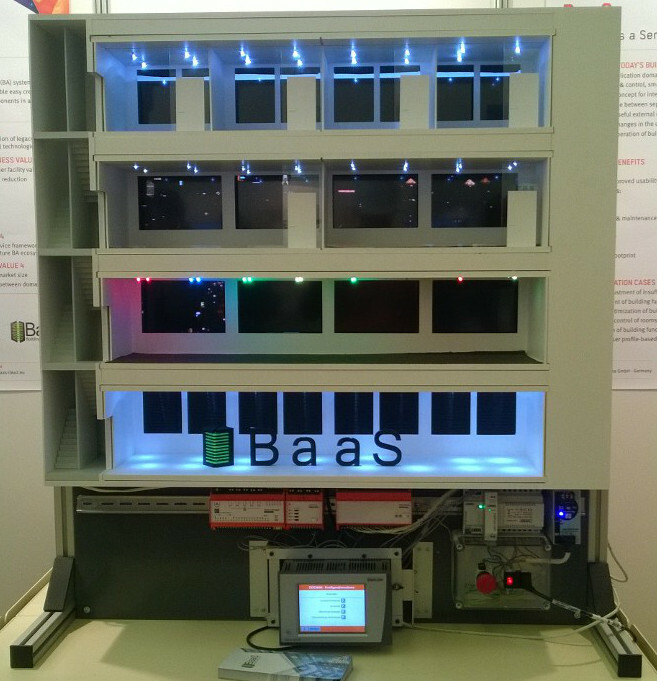 The BaaS-Project was presented the first time at a symposium and we demonstrated a nice modelhouse with its own building automation system inside. Because of the presentation, our project won the highly coveted ITEA Co-Summit Exhibition Award!